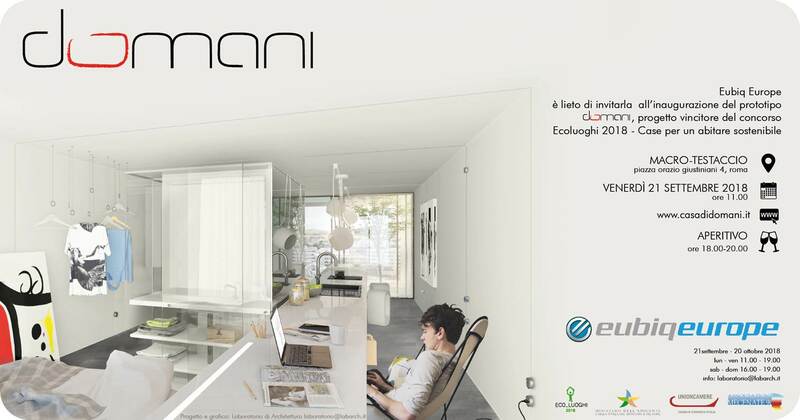 We are pleased to invite you to the inauguration of the prototype DOMANI, project winner of the competition “Ecoluoghi 2018” – Homes for sustainable living, where the Eubiq system was chosen and integrated.
? Friday 21st September 2018 / start at 11:00 a.m.